The sunflower seeds hulling equipment is easy to install and does not need the foundation quickly. 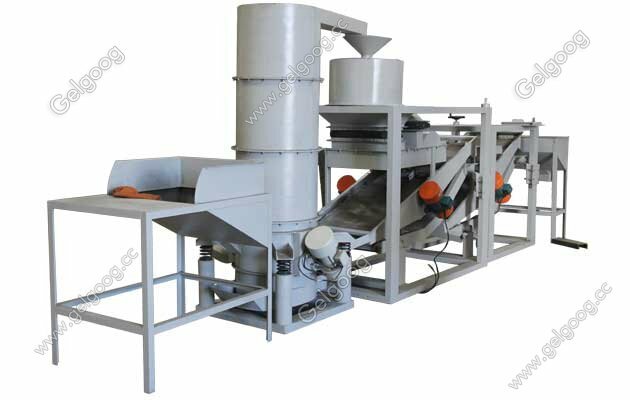 Feeding funnel--- Bucket hoisting machine---shelling----hulling machine by wind---seed sorting----Electrical Cabinets. The ideal separation effect is achieved by adjusting the angle of the sieves. The sunflower seeds sheller machine adopts all steel core, and the blade adopts 99% high aluminum porcelain, which enhances the effect and service life of the shulling. 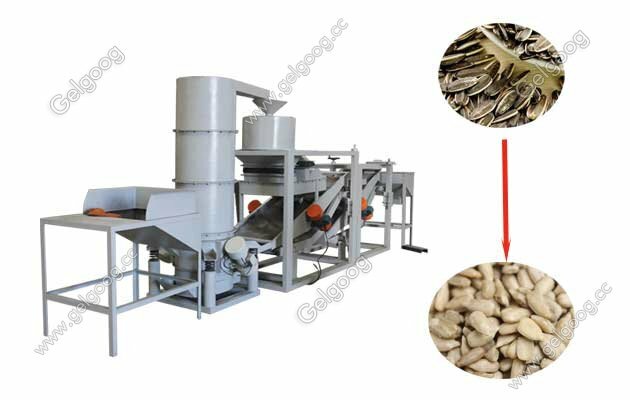 The use of the helix discharger is convenient for the collection of sunflower skin, which reduces the production of dust. The application of fish scale screen can easily realize the separation of seed kernel; the sieve plate is made of high quality cold rolled steel plate, and it is strong and durable. 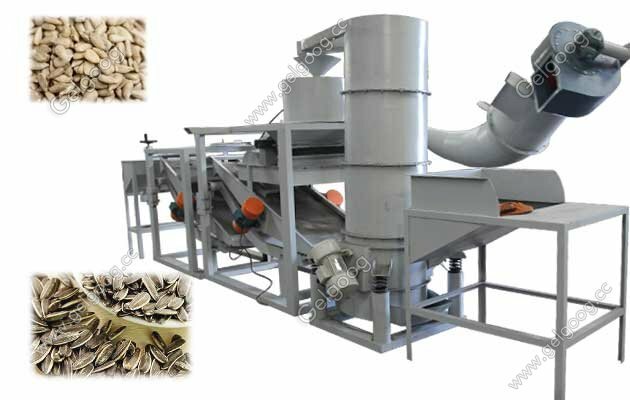 The whole set of sunflower seeds hulling equipment by the centralized control cabinet, simple operation, hulling machine adopts frequency design can adjust frequency according to the condition of material sheller. We also have pumpkin seeds shelling machine for your choice.